THERE was an outrage in the ruling All Progressives Congress on Thursday over the announcement of new appointments by President Muhammadu Buhari. 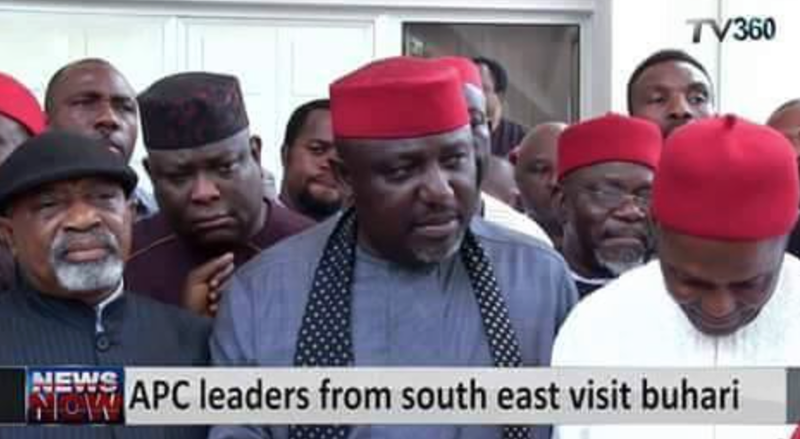 Leaders of the APC, who spoke to The PUNCH, complained that the appointments tilted in favour of the North and said the party must move fast to cope with the backlash of expected rumblings in the polity. “The President does not consult before making most of these appointments and I can tell you that Nigerians are going to term the party and the President as a northern party and the President of Northern Nigeria,” a leader of the party said to one of our correspondents late on Tuesday. Buhari, according to a statement by his Special Adviser to the President on Media and Publicity, Mr. Femi Adesina, on Thursday approved the appointment of Babachir David Lawal from Adamawa State as the Secretary to the Government of the Federation. He also named Mr. Abba Kyari from Borno state as his Chief of Staff. Other appointments approved by the President, according to the statement, are those of Col. Hameed Ibrahim Ali (retd.) as the new Comptroller-General, Nigerian Customs Service; Mr. Kure Martin Abeshi, Comptroller-General, Nigerian Immigration Service; Senator Ita Enang, Senior Special Assistant on National Assembly Matters (Senate); and Suleiman Kawu as SSA on National Assembly Matters (House of Representatives). Both Ali and Kawu are from Kano State and Abeshi is from Nasarawa. Enang from Akwa Ibom State is the only one from the south geo-political zone. Adesina said all the appointments would take immediate effect. Three top national officers of the APC, who spoke with one of our correspondents on condition of anonymity shortly after the announcements were made, wondered why the President was appointing only northerners to positions to the detriment of the southerners. They said that the President was already giving the party a bad name among Nigerians. They said they had hoped that he would learn from the criticisms that trailed his first appointments where more northerners were appointed into sensitive positions than southerners. Before the latest appointments, the President had also named only one southerner among the initial nine appointments he made. The northerners in the first appointments are the Director-General of the State Services, Lawal Daura; Acting Chairman of the Independent National Electoral Commission, Mrs. Amina Zakari; the Director, Department of Petroleum Resources, Mr. Mordecai Danteni Baba Ladan; and the Accountant-General of the Federation, Alhaji Ahmed Idris. Also in the first appointments are the President’s Chief Security Officer, Abdulrahman Mani; State Chief of Protocol, Mallam Abdullahi Kazaure; Aide- De-Camp, Lt. Col. Muhammed Abubakar; and the Senior Special Assistant on Media and Publicity, Mallam Garba Shehu. Only the Special Adviser on Media and Publicity, Mr. Femi Adesina, hailed from Osun Staten in the South-West. 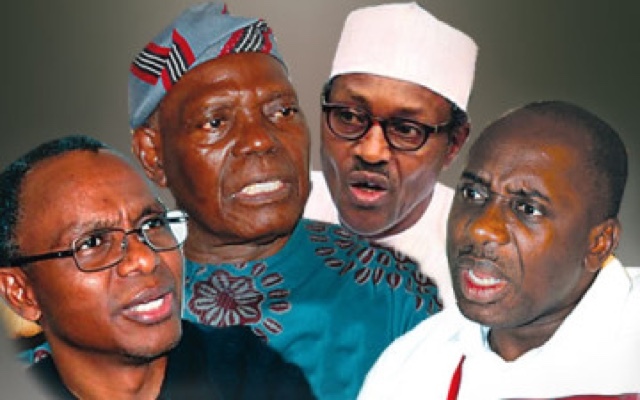 Another APC leader said the party must devise a way of managing the backlash that would follow the appointments. He said, “Though the President did not get much votes from the South-East but we must not neglect the zone in key appointments. It was gathered that some leaders of the party were already thinking of having an enlarged meeting where the appointments would be reviewed. But another senior member of the APC said such a meeting, if it would hold at all, would have to wait until the party holds its Kogi State governorship primary on Saturday. A member of the state executive of APC in a South-West state, said the appointments were lopsided against the South. The Speaker of one of the Houses of Assembly in the South-West, who spoke on condition of anonymity, also described the new appointments as shocking. Similarly, an APC chairman in another South-West state, who also spoke on condition of anonymity, said the list of the new appointees had left him perplexed. In the same vein, an APC member of the House of Representatives, said the leaders of the party in the South-West were shocked by Buhari’s latest appointments. “He didn’t tell anybody. We are all shocked. The real shocker would be when he is going to appoint ministers. The only thing that would save us is that he is mandated constitutionally to choose from all states, otherwise, he would have chosen all the ministers too from the North,” the female member of parliament said. The new SGF graduated from the Ahmadu Bello University, Zaria, in 1979 with a Bachelor of Engineering degree and worked with the Delta Steel Company, Aladja, Nigerian External Telecommunications Limited and Data Sciences Limited before establishing his own ICT and Telecommunications consulting firm in 1990. Kyari, the new Chief of Staff to the President, holds Bachelors and Masters Degrees from the University of Cambridge and the University of Warwick in Law and Sociology. The new Comptroller-General of Customs, holds Bachelors and Masters Degrees in Criminology. He was military administrator of Kaduna State from 1996 to 1998.